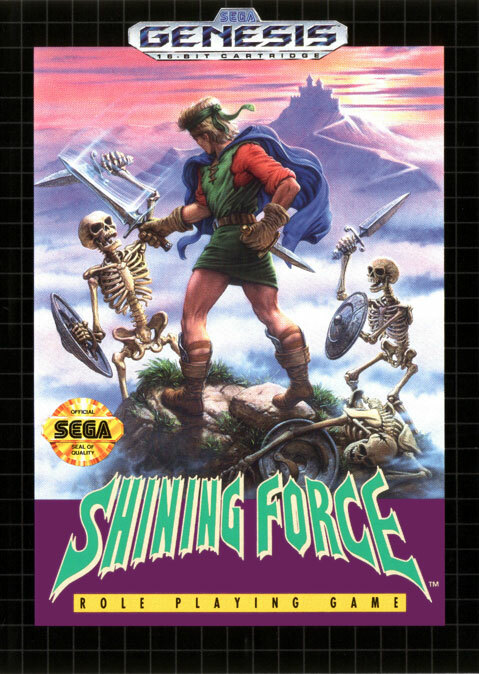 My first real serious joyful introduction to the concept of RPGs and what made me a huge fan was the old SEGA Genesis game Shining Force. And one thing in Shining Force I loved was Tao the Mage and hitting enemies with fire spells for horrible death. RPM was a giant step for GURPS, in that its ‘build your own spells’ system allowed not only all that secret magic for urban fantasy and monster hunters stuff, it also allowed good old fashioned fireball slingers with Charms as Memorized spells! Here I discuss how a simple boring fireball, of the classic ‘erupts into being’ sort that I associate with fireballs can actually be a rather multipurpose tool. This will help show the flexibility of RPM, and that a single ritual can be a starting point rather than a straightjacket. RPM allows you to do such nifty things as cooking your enemies with fire! First, on pg 17 of RPM we see that in order to do an Indirect damage spell at range (like the classic fireball that simply erupts into being, as opposed to one thrown like a fiery baseball) we add a Range for where the spell will be created, and roll Innate Attack to hit. Notably this spell also goes off when we create it, not requiring a round to throw! So what is a fireball? Pg. 19 of RPM we see ‘Specific Definition’, it notes that a ritual must be specifically defined for Ritual Mastery perks and for Grimoires. A mage may or may not invest in ritual mastery perks, but it might not be a bad idea. Grimoires are love though, so trying to buy a grimoire for your favorite spells is a great thing! Specific Spell Effects – For ‘Classic Fireball’ we want Greater Create Energy. What those effects do – A fireball erupts into being and cooks people with painful hurtings. Modifiers pt 1 – Very important it says these can be changed ‘On the Fly!’, don’t list specific values. For our Fireball we want ‘Area Effect’. Modifiers pt 2 and their specific effect – We don’t need the numbers, but we need what they are. For our Fireball we want ‘External Burning’ damage. It notes we don’t need to worry about Range here. So there we have it, ‘Classic Fireball’, a Fireball erupts into being and cooks people with painful hurtings (External Burning). Maybe a bit of improvement would help to get an even better spell. For instance, ‘Classic Smart Fireball’, which has Bestows a Bonus, Narrow, To Hit with Me, as well as ‘Area Effect, with Exclusions’. This is ‘A fireball that erupts into being (hopefully where intended) and cooks people with painful hurtings (but not the people you don’t want cooked!)’. It adds a Lesser Control Magic effect to accomplish ‘helps hit where its supposed to’. We are going to want to use this as a charm, so another Lesser Control Magic will be involved. Before actually writing down rituals, we need to get an idea of the Mage who is going to be casting so we know the numbers to play with. Let us assume then our Mage has Magery 6, skill 18 in Path of Magic and Path of Energy, and has Ritual Mastery (Classic Smart Fireball), and a +4 grimoire of the same (relatively affordable! ), and a +1 Charm Lab (not so affordable, but we are hopeful), and Higher Purpose Pyromania (I mean, Pyromancy!). So we consider our Effective skill since this spell uses two Paths to be the lower of the two, but in this case they are the same (this is usually the case, you want your Path of Magic to be high enough you don’t turf spells using them as charms), so 18, +2 for Ritual Mastery, +4 for Grimoire, +1 for Charm Lab, and +1 for Higher Purpose = 26. How much energy do we have to play with then? Well, 18 from our Magery 6 (3 per), and we look at the Quick and Dirty Charms Rules on pg 26. So 125 energy = Safe Threshhold. So 143 energy to play with without exceeding our safe threshhold. Here is our most basic elemental form of this spell! Spell Effects: Greater Create Energy + Lesser Control Magic. Inherent Modifiers: Damage, External Burning + Range + Bestows A Bonus, To hit with me + Area Of Effect. This Casting: Greater Create Energy (6) + Lesser Control Magic (5) + Lesser Control Magic (5) + Damage, External Burning 3d (0) + Range, 2 yds (0) + Bestows A Bonus, +1 to To hit with me (1) + Area Of Effect, 2 yards (0). 51 energy (17×3). Add some more damage and stuff and see what we get? This Casting: Greater Create Energy (6) + Lesser Control Magic (5) + Lesser Control Magic (5) + Damage, External Burning 13d-1 (13) + Range, 30 yds (7) + Bestows A Bonus, +4 to To hit with me (8) + Area Of Effect, 3 yards, excluding up to 2 subjects (3). 141 energy (47×3). That is a nice spell! But this blog post is ‘The Many Faces of Fireball’. Say instead you want to hit someone farther off? We can lower damage and raise range! Sniper’s – This one trades damage for better range and accuracy! This Casting: Greater Create Energy (6) + Lesser Control Magic (5) + Lesser Control Magic (5) + Damage, External Burning 4d+2 (2) + Range, 100 yds (10) + Bestows A Bonus, +5 to To hit with me (16) + Area Of Effect, 3 yards, excluding up to 2 subjects (3). 141 energy (47×3). Or a closer ranged harder hitting one? This Casting: Greater Create Energy (6) + Lesser Control Magic (5) + Lesser Control Magic (5) + Damage, External Burning 21d (24) + Range, 7 yds (3) + Bestows A Bonus, +1 to To hit with me (1) + Area Of Effect, 3 yards, excluding up to 2 subjects (3). 141 energy (47×3). How about one with greater area of effect to hit more targets? Widefire – This one spreads weaker flames over a farther area, trading accuracy and intensity. It also increases exclusions as you may have more people you don’t want to hit! This Casting: Greater Create Energy (6) + Lesser Control Magic (5) + Lesser Control Magic (5) + Damage, External Burning 10d-1 (9) + Range, 30 yds (7) + Bestows A Bonus, +1 to To hit with me (1) + Area Of Effect, 20 yards, excluding up to 4 subjects (14). 141 energy (47×3). It wouldn’t be right to avoid mentioning grappling! Here is one intended to help squishy mages avoid being grappled! No Touch Me – This ones range is less than its area effect, intended as a resort for mages in danger of being overrun! The wise caster will choose themselves as one of the exclusions. This Casting: Greater Create Energy (6) + Lesser Control Magic (5) + Lesser Control Magic (5) + Damage, External Burning 18d (20) + Range, 2 yds (0) + Bestows A Bonus, +1 to To hit with me (1) + Area Of Effect, 10 yards, excluding up to 4 subjects (10). 141 energy (47×3). There are 5 different versions of the same ritual, cast at the same level of energy, all doing the same thing. But doing it in 5 different ways, so that they can each play a similar but different role on the battlefield. Hopefully this illustrates that creating a spell for RPM need not be one and done, instead, by moving the numbers around you find new uses for the same ritual, and get more bang for your buck out of the same grimoire and Ritual Master purchase! It also greatly helps out designing your spell loadout, as this way you can have several Classic Smart Fireballs listed. I have used this method in play with several characters and it has seemed to work well . . . . until you run into enemies who are fireproof at least. Which leads us to our next Face of Fireball. Unlike all the versions of Classic Smart Fireball, the Classic Smart Forceball IS a different ritual! It is using force (or kinetic energy or whatnot!) to smash people, not fire to cook people, but, the actual writeup is identical. Lets assume our example mage still has 18 in skills and 6 magery and a +1 charm lab. So the mage buys a Grimoire of Classic Smart Forceball at +3 (doesn’t want to spend as much on a secondary spell) and has no Ritual Mastery and no Higher Purpose, so, are looking at a 22. Safe Threshhold is 85, so our spells energy is 103. Inherent Modifiers: Damage, External Crushing + Range + Bestows A Bonus, To hit with me + Area Of Effect. This Casting: Greater Create Energy (6) + Lesser Control Magic (5) + Lesser Control Magic (5) + Damage, External Crushing 9d (8) + Range, 20 yds (6) + Bestows A Bonus, +1 to To hit with me (1) + Area Of Effect, 3 yards, excluding up to 2 subjects (3). 102 energy (34×3). This way you do not have to reinvent the wheel, just tweak an existing spell and off you go! I have been using RPM since it came out in MH1, and the ‘make one spell, and then fiddle with it for several variations’ is one of my favorite tricks, so I hope this was of use. Thank you very much to Doug for agreeing to host this! Previous Previous post: SRD5.1 Adventure Module: Editable Draft! Worked examples of anything GURPS is always welcome. Thank you Kalzazz. Aw man, Shining Force was awesome. Thank you for the examples; I have not read through or experimented with RPM rules in quite a few years now. Minor quibble on the no-touch variant, the range is only to the nearest edge of the area, not the center… so as writen, you could have the center hex be 12 yards away if you so chose.